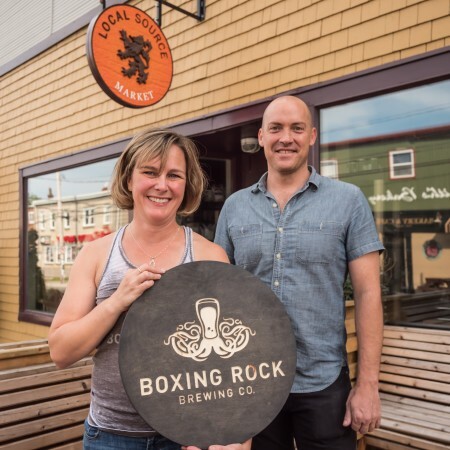 HALIFAX, NS – Boxing Rock Brewing has announced a new partnership with Local Source Market in Halifax that includes the launch of a new pilot brewery and bottle shop. The Boxing Rock “Test Kitchen” is a 1-barrel brewhouse that has been installed adjacent to the Local Source catering kitchen, and will be used to brew seasonal and experimental beers that will be available for growler fills in the retail shop, alongside bottles of core and limited release products from the main brewery in Shelburne. The new Boxing Rock bottle shop is now open inside Local Source Market at 2530 Agricola Street in the North End of Halifax. An official grand opening will take place on September 1st, with free gifts for the first customers. For more details, see the Boxing Rock Brewing Facebook page.